Let's talk less about profit and more about value. Customer value. Let's talk about how we (as innovators) help customers create value. Innovation is creating new things (products, processes) which create value for customers. The trick is to discover what customers value and to support their process of value creation. Innovation has focussed too much on novelty and differentiation and looking internally at business processes rather than externally to customers. A value focus shifts innovators attention outwards to focus on what customers value, and how it is changing over time. 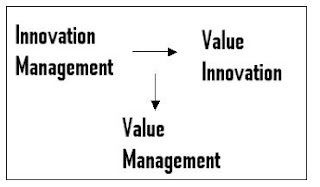 In a dynamic enironment, value is slippery and innovators need value management systems to sense and adjust to changes in what customers value. Recent research suggests innovation needs to create a leap in value to be successful (Kim and Maubourgne 2005). Yet value is an important (Drucker 1999) but under-analysed and incompletely understood subject (Gronroos 2011). Innovators need a clearer picture of what value is and how value works from the customers perspective. My research has focussed on understanding 3G mobile phone consumers and how they decide to buy their new mobile phones in a highly dynamic marketplace. Business customers and slower moving products are likely to have different priorities, processes and properties. 2. Value Leadership: sometimes innovators need to tell customers what they need. 3. Value as a concept needs to be explored and defined to account for how consumers act in a dynamic environment. Two pieces of the value puzzle are value meanings; what customers value, and value practices; how customers value. Supporting this are Customer Attitudes which reflect customers ongoing emotional valuing of various items of value. Value is an individual and social process whereby customers account for new information. Value Management: This requires continuous monitoring of customer needs through an ongoing dialogue. This can be done personally through Client Liaisons, or virtually through open Business Intelligence systems. Value Leadership: In special instances, innovators know better than to listen to customers, or customers are not capable of reaching the best answer. Understanding value: ongoing training to teach the concepts and processes of value to employees will support Value Management. A good first step is to measure customer attitudes towards your organisation. Where customers are unhappy this is evidence that profit is taking priority over value. Focus on unhappy customers and how you can serve their needs. The last hurdle should be what cost will serving their needs take. Drucker, P. (1999). Management Challenges for the 21st Century. New York, NY: Harper Business. Gronroos, C. (2011). Value Co-creation in Service Logic: A critical analysis. Marketing Theory, 11, 279-301. Kim, C. and Mauborgne, R. (2005). Blue Ocean Strategy: How to create uncontested market space and make the competition irrelevant. Harvard, MA: Harvard Business School Press. Porter, M. and Kramer, M. (2011). Creating Shared Value: how to reinvent capitalism and unleash a wave of innovation and growth. Harvard Business Review, 1, 62-77. Well i agree on the idea, to focus more on the customer value because we all know that when we satisfy our customers they will refer us to others then the profit will just come in without you knowing. Customer holds the key for you to gain more customers because their feedback is very important. Richard, I like your stress on the customer value. I think it is fully compatible to what I suggest in my Hack: MINORITY REPORT: TOOLS TO OVERCOME THE INNOVATION DIVIDE on the focus: how to target the right ideas. 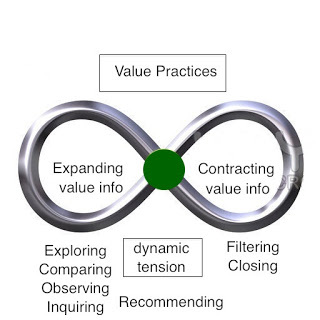 Customer value should be one of important target aspects not only in idea filtering, but in the innovation focus e.g. implemented in the challenge list contents and even a structural item of the innovation entry form. Prahalad, C.K. and Ramaswamy, V. (2004). The Future of Competition: Co-creating Unique Value with Customers. Boston, MA. : Harvard Busines School Press. Vargo, S. and Lusch, R. (2004). Evolving to a New Dominant Logic of Marketing. Journal of Marketing, 68, 1, 1-17. Vargo, S. and Lusch, R. (2008). 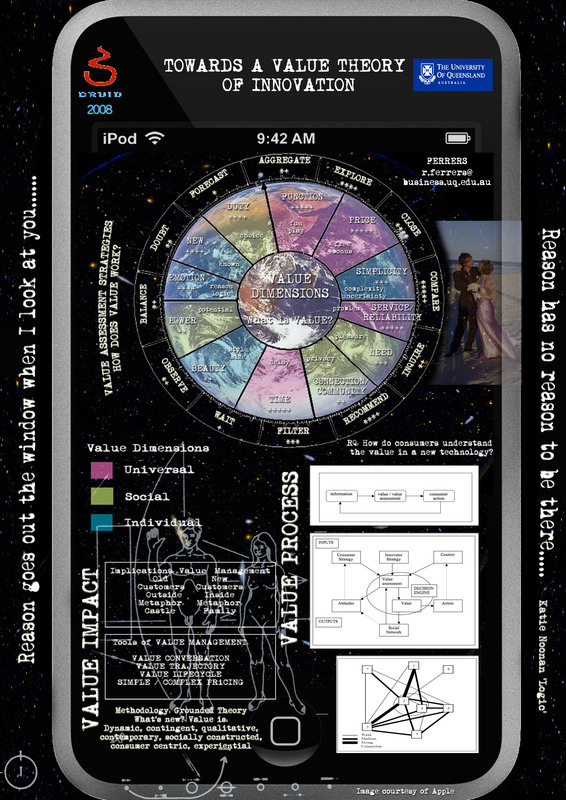 Service-Dominant Logic: Continuing the Evolution. Journal of the Academy of Marketing Science, 36, 1-10. Zuboff, S. and Maxmin, J. (2002). The Support Economy: Why Corporations are Failing Individuals and the Next Episode of Capitalism. New York: Viking. 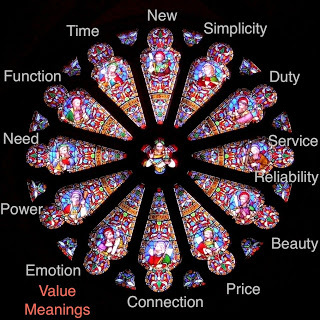 I particularly like when you say "value meanings; what customers value". Prof Prahalad had often cited how companies grossly failed in capturing the customer's views of value. Instead of unilaterally deciding what is value for them, companies, as you have mentioned, should listen to them.